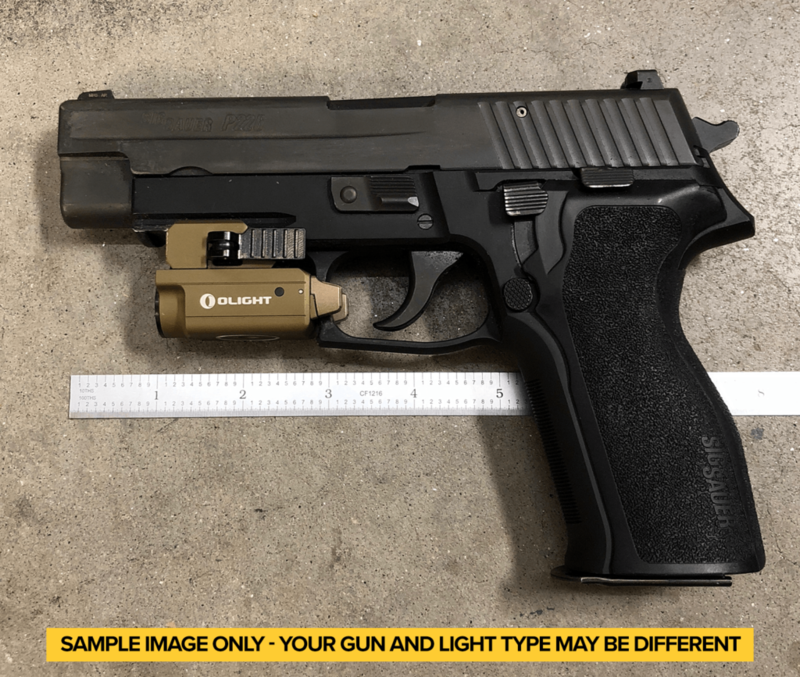 Due the adjustable fit nature of some weapon lights like the OLIGHT PL-Mini 2, Crimson Trace CMR-208 and others we find that a picture is very helpful for our molding team. In order to ensure your specific gun using an adjustable fit weapon mounted light fits your new BlackPoint Tactical custom holster perfectly we need a little more information about how your light is mounted. After you place your order our customer service team will follow up requesting a photo of your gun with the light mounted in your preferred position. Below is a sample of the type of image that is most helpful to our production process. PLEASE ENSURE ALL PISTOLS ARE SAFELY UNLOADED PRIOR TO TAKING ANY PHOTOS. ALSO, PLEASE ENSURE ALL FIREARM SAFETY RULES ARE FOLLOWED WHILE PHOTOGRAPHING YOUR PISTOL. This sample photo illustrates the ideal image for our molding team to use when making your custom holster. A well lit side view and, if possible, a ruler placed in the photo is very helpful.